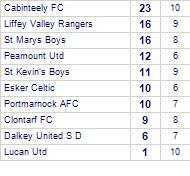 St Marys Boys take spoils against Dalkey United S D.
Dalkey United S D has yet to win in this competition, having lost all 4 games. 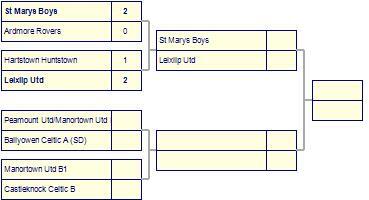 St Marys Boys beat Leicester Celtic. St Marys Boys has yet to be beaten in this competition, having won every game. 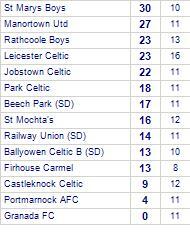 St Marys Boys beaten by Cabinteely FC.